Dogs are wonderful pets, and they can be your best companion while enjoying some outdoor activities. Camping out with your dog can be an excellent experience for you. Also, it will be exciting for the pet to explore a new environment and encounter some adventurous paths while on the journey. 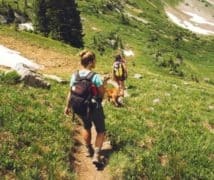 Below are some of the tips for camping with dogs that you can utilize to enjoy a pleasant and great vacation full of moments. If your dog loves loads of physical activities and it is adventurous, you will have a wonderful time going camping. 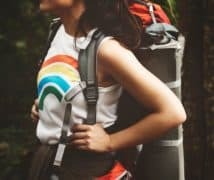 If you want to go camping along with your dog, you will have to act responsibly by carrying the necessary items not only for you but also for your pet. Right preparations will make an enormous difference and set your mind at ease for an inspiring and a fantastic trip to nature. • Does Your Campground Allow Pets? • How Will Your Dog React To Other Animals Or Campers? 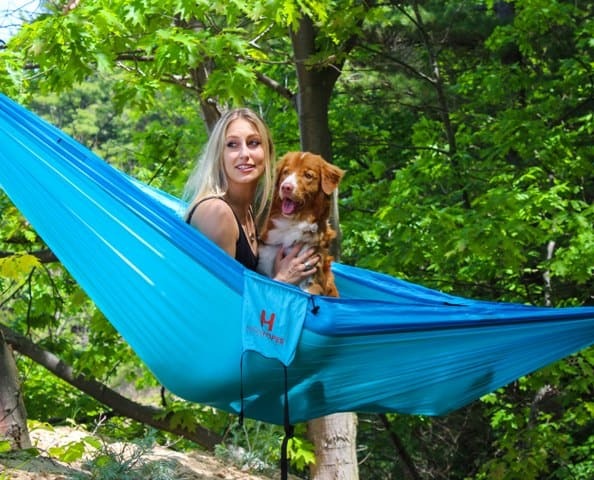 • What Will You Do In Case Your Pet Gets Injured While Camping? Before deciding on your camping location, ensure that it will allow you to take your pet in that area. Some camping sites might charge an extra fee if campers visit the campground along with their pets. You should check whether the campsite you choose is dog-friendly. Some of the sites welcome dogs, but they don’t have much of a dog walk or exercise area, and also ensure that all the facilities you will need are available. Many parks have detailed information of exciting local walks, etc., that are available in their tourist information center or reception. Are there extended open grounds for your pet to run around? Will you be required to present your dog’s rabies certification? 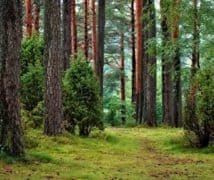 Are The campgrounds sprayed regularly against ticks and mosquitoes? You should choose a site that is popular for dog camping as it will effectively enable your dog to enjoy the experience. Some dogs handle the outdoors activities better than others. Ensure that your pet is up to the challenge of spending long periods of time in the woods. Besides, consider your pet’s behavior patterns. If your dog is aggressive towards other animals or strangers, it should stay on a leash and also have limited exposure to other campers. On the other hand, if your dog is friendly, you will need to closely monitor the pet to ensure that it won’t encounter dangerous wildlife or wander off. You should take your pet to the camping if only it behaves well. If it barks incessantly at strangers, is uncomfortable with strangers, impatient with others, or it becomes aggressive; avoid taking him to the camp because it will only create undue stress on your pet and probably annoy your neighboring campers. Not all dog breeds that suitable for participating in outdoor activities involved in camping, therefore you should be aware of the type of your dog and whether it is suited for being outdoors for an extended period. Unfortunately, campers who fail take some precautions for identifying their pets become stressed up as they go through a lot of hassles while trying to locate them. Taking precautionary measures that can help you to identify and return your pet quickly, can turn an unfortunate incident into a simple story about something that happened at a glance when you went camping. Your pet’s general health and age will as well determine his camping suitability. Before setting off the trip, make sure your dog is up-to-date on vaccinations and is healthy enough to handle an increase in activity comfortably. It is essential to have an ID tag with your phone number as it might help you in case your pet wanders off. Also, you can attach a flashing LED light to your pet’s collar as an extra safety to help you keep tabs on him. You may also decide to use a micro chip for permanent identification purposes. Although there is a considerable cost associated with having a microchip placed inside of your dog, your possibility of returning your lost pet to you are more than 80 percent. Who can say that having the right footwear is not essential on a camping trip? No one. You will not go hiking in high heels, right!? Funnily enough, your pet will also need similar consideration, especially if he is prone to foot injury. 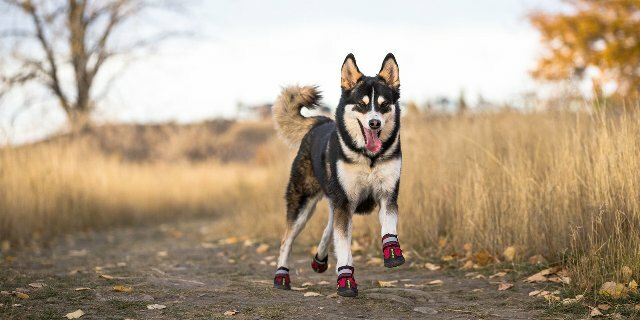 Investing in quality dog boots will ensure that your pet will not break its nail thus saving cash on treatment needs costs as well as maintaining the physical fitness of your dog. Under low temperatures, a fur coat might not adequately protect your pet. Carry extra blankets and padding or bedding to help your pet during cold nights. Besides, have an extra towel in case your dog gets wet. Remember, if the weather is too cold for you, it’s as well cold for your pet. If you’re headed to the snow, your dog will likely need a dog coat for warmth. If it is summer, it’s advisable for you to have a cooling bed or jacket to keep your pet comfortable. Because nature wonderful place to explore, your dog will want to take in as much in as possible. You should ensure that inoculations and tick or flea repellents are up-to-date. If You don’t want pre-existing conditions flaring up while you’re on your vacation with no idea how to help your pet, then You can conduct a pre-camping trip to a vet who will set your mind at ease, provide vital information and advice you on your upcoming adventure. 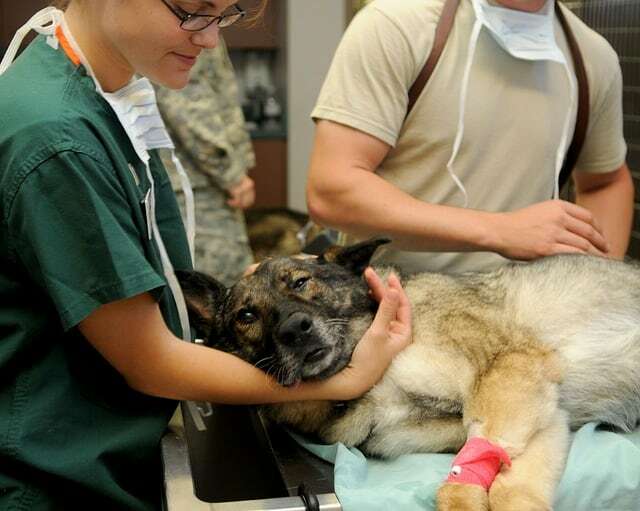 Your vet will advise you about your first aid kit, what essentials you should carry for your companion. Learning how best to dress wounds and the strapping techniques are empowering and will boost your self-confidence that will enable you can handle any eventuality, with the right equipment readily at hand. A first-aid kit for your pet might include; bandages, swabs, antibiotic ointment, disinfectant, etc. While camping, if your pet becomes injured, take immediate action to stop any bleeding, calm him down, and then get him to a veterinarian. As a responsible dog owner, you must take proper care of your pet. Dogs are inherently active, alert, and they have good intelligence. Being the most faithful animals to human, they have been our best companion for many years. 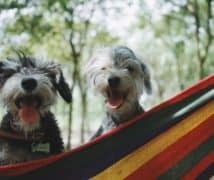 During your camping trip, not only will you look after your pet, but even your dog will exercise their intelligence, instinct and keen sense of smell to warn you about any impending dangers. Indeed, it will take care of you at all times. 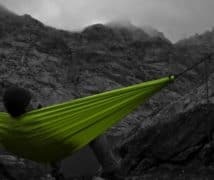 So, following the above tips for camping with dogs will guarantee you of having a wonderfully memorable camping experience.